During the Christmas period we will be operating under a reduced timetable. 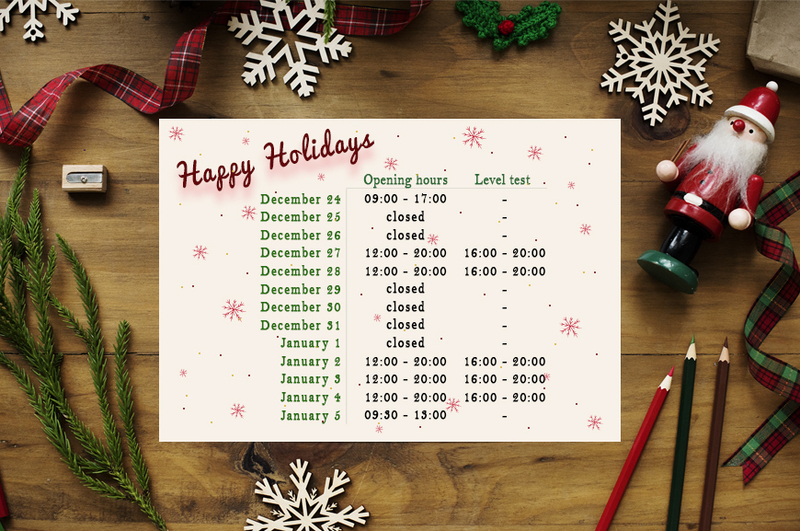 If you are interested in taking a free level test or signing up for one of our courses, you can pop in during this timetable (No appointments necessary). Everyone at Oxford House would like to wish you a very Merry Christmas and a Happy New Year! We look forward to seeing you again in 2018!